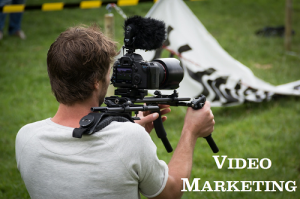 Video marketing didn’t take huge leaps in 2014. A lot of attorneys used videos as a means of marketing to potential clients, and a lot of them continued to do it in the exact same way that they had in 2013 and prior. While there’s no doubt that video ranks well and will continue to do so in 2015 and beyond, law firms interested in shooting videos this year should keep conversions in mind throughout every step of the process. Additionally, when marketing these videos on the internet, a sound strategy needs to be drawn out beforehand in order to get the absolute most out of your video efforts. You always have to keep the attention spans of your viewers in mind, and you should never market a video that runs too long or that doesn’t succinctly answer the questions that your audience wants the answers to. Give your viewers something of value, wrap it up in a short video, and be sure to tie it all in with your existing marketing efforts. Keep in mind though, the creative, pre-production process and the actual production itself are two entirely different things.